The essay deals with the very first years of legal education of Salvatore Satta: his departure from Nuoro to attend the university first in Pisa, then in Pavia and finally in Sassari where he graduated in July 1924 with a dissertation on bankruptcy law. Retracing the link with James Delitala (one of the main Italian criminal lawyer), the essay deals with the arrival of Satta in Milan and his meeting with Marco Tullio Zanzucchi, professor of Civil Procedure at Università Cattolica del Sacro Cuore. 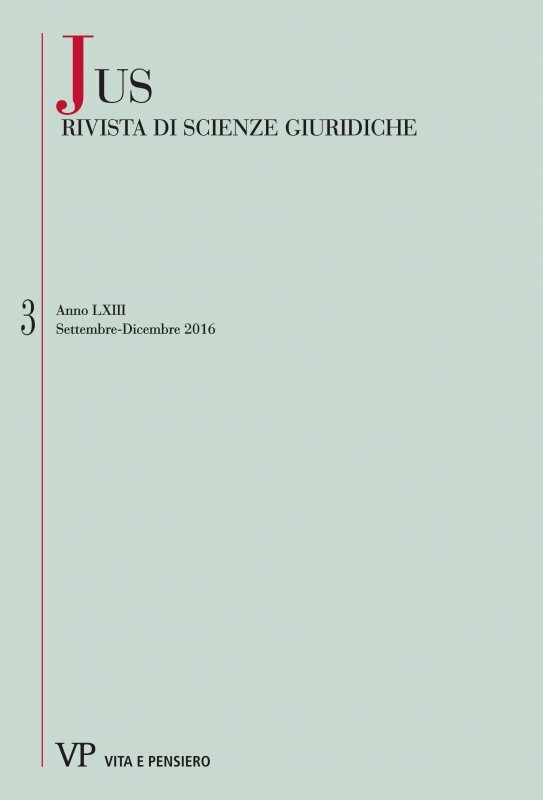 The paper investigates the relationship between Zanzucchi and Satta both from the human and the professional point of view. Furthermore, the work takes into consideration the first publications of Satta (1925 and 1926) in Rivista di diritto Commerciale and in Vita e Pensiero, the interruption of the studies in 1926 due to his permanence in the sanatorium of Merano untill he became lecturer in civil procedural law when he was 30 (in 1932). The essay points out why Satta was considered to be a great jurist and writer since the beginning of his career since he has succeeded in establishing itself between the leading experts of the Italian Civil Procedure and defying the great and undisputed masters, from Francesco Carnelutti to Giuseppe Chiovenda, thanks to his independence of thought. This study aims to analyze the legal and meta-juridical requirements on which the child’s right to education is founded. In a specific manner, in relation to the notion of greatest importance of the child, already acknowledged by many International Treaties, such as the UN Convention on the Rights of the Child of 1989, that was ratified by the Holy See in 1990. The right to education, even in religious matter, can therefore be defined as a functional right stemming from the duty of guidance and protection that falls first with the parents and accordingly with the family as defined by the international legislation, both from the Magisterium of the Church, first and irreplaceable social agency, as well as the foundation and future of society.